I am a strength & conditioning specialist turned strongman performer and motivational speaker. I was an overweight, insecure teenager who started using drugs in high school. My life got real bad as my addictions worsened and I saw myself on a path of self destruction. In a moment of prayer and self reflection, I knew that I would either kill myself, end up in jail, or spend the rest of my life as a loser. Only by the grace of God was I able to stop using and turn my life around. Progress was very slow at first. Not much changed initially but I slowly began to distance myself from toxic relationships. I had to find new friends, new things to do and new places to go. Lifting weights became my favorite pastime. As I got more into it, I wanted to learn how to get the most out of my workouts. I realized I needed to exercise my brain like I exercised my body, so I started reading again. I progressed from muscle magazines, to books and eventually went back to school for a degree in exercise science. As my workouts improved so did my strength. I began competing in strength sports like Strongman and the Highland Games. I won the Maryland Strongest Man competition and realized that to go any further in the sport I would have to start using drugs again (i.e. steroids). At that point, I switched my focus from strongman competition to strongman performances. I started doing feats of strength like bending steel, tearing phonebooks and breaking chains. I trained under Dennis Rogers to learn how to combine feats of strength with showmanship and I joined Toastmasters International to get more comfortable with public speaking. I did all of this while starting a family and opening a gym. Today I have 5 children and am the owner and operator of Baltimore Kettlebell Club. It’s been wild ride already and the story is just beginning. 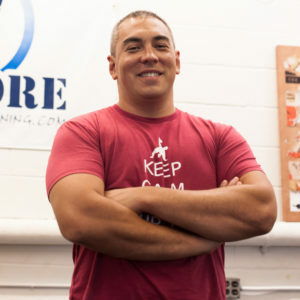 A former winner of the Maryland Strongest Man contest, Dan Cenidoza is now a performing strongman who combines world-class feats of strength with motivational speaking. 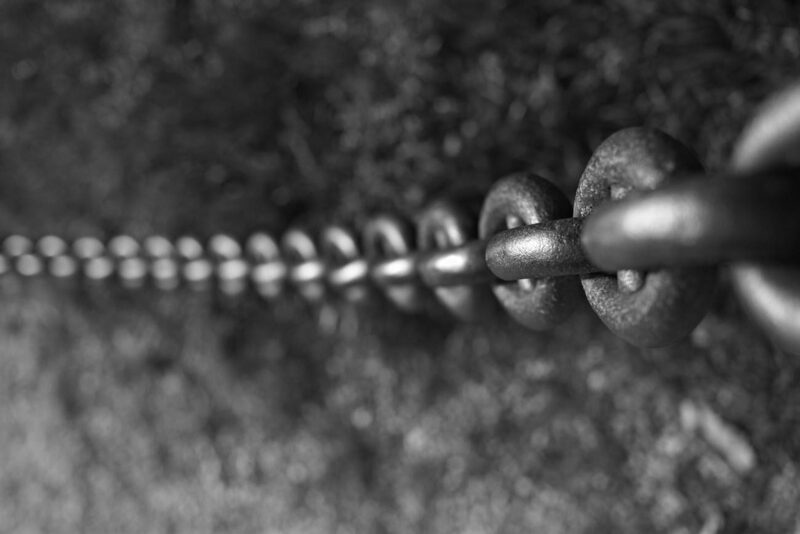 He bends steel, tears telephone books and break chains to emphasize his points of overcoming obstacles, tearing down strongholds and breaking free of things that hold people back. Hand bent steel sculptures using no heat and no tools. Through sheer strength, Dan bends, twists and shapes metal bars to his will. 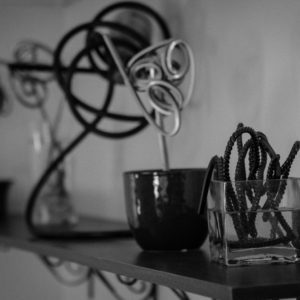 Among his designs are name boards, wine racks, brochure and business card holders, and his signature mounted pieces he calls Iron Bonsai. 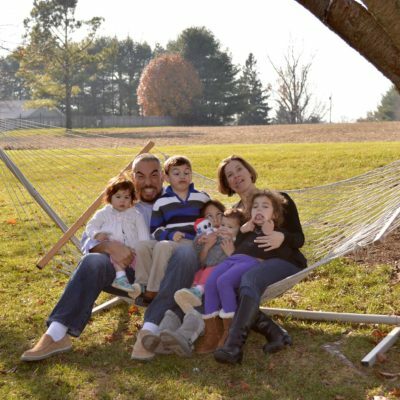 Dan and his wife Jessica have 5 children. They are a very active family with both mom and dad being exercise enthusiasts, and the kids being involved in everything from dancing to wrestling. They are also active Christians because they realize they are imperfect people who need the help of a perfect God.